Following Gatundu South MP's alleged hate speech in his constituency, Controversial blogger Robert Alai has raised alarm and questioned why the government is not arresting the dude. Moses Kuria was captured telling the youth in his constituency to cut anyone with machetes if they opposed the ongoing NYS project in Kibera. This follows the expose on the project which put CS Anne Waiguru on the spot for alleged miss appropriation of funds meant for the project. No action has been taken yet and the blogger was wondering why the prosecutor has not launched an official investigation into the matter, here is what he wrote. 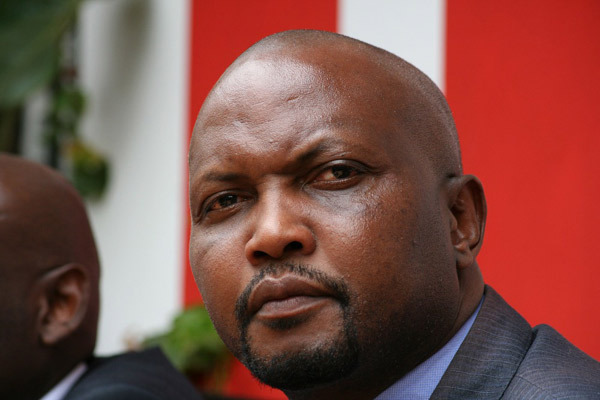 Is Moses Kuria above the law? The police can't move on him because he provided PR services to Interior Ministry and the President campaigned for him. Why should Moses Kuria be allowed to reign terror on innocent Kenyans?